PHP development services in Chennai,Bangalore,Hyderabad. For a cutting edge web application development, we have the one of the best solutions with us. When we are saying one of the best, then it cannot be anything other than PHP. PHP serves as the best web development technology, for most of the business requirements. It could be a content based or an article publishing website, or an ecommerce shopping website. It could be a social networking website, or a movie or other entertainment websites. Whatever your online business idea be, PHP has a solution for it. PHP development is perhaps the one stop development solution for most of the business needs. Also, as far as PHP development is concerned, we the PHP developers at Piccosoft find it pretty much hassle free. PHP opens up a huge library of resources, helping us fetching answers for almost every PHP related query. You might either want to get your web application done from the scratch, or want us to use a third party PHP based solution for customizing it according to your business requirements; we are a ready to provide you with the most suitable PHP solution for your need. We can provide the services of PHP development as per your suitable budget. Get in touch with us today. We are looking for dedicated resources for my Project. Can you provide? Yes, we do assign dedicated resources, on demand. Dedicated resources will work exclusively and full-time on your project only. We are a Start-up and I have not hired employees in-house. Can you provide a technical team for us? Of course, we can set up a technical team for your Start-up with a Designer, Developers, Architect and Testers. We want to discuss about a project. What is the convenient time? We can certainly fix up a convenient time for both of us, for a discussion. 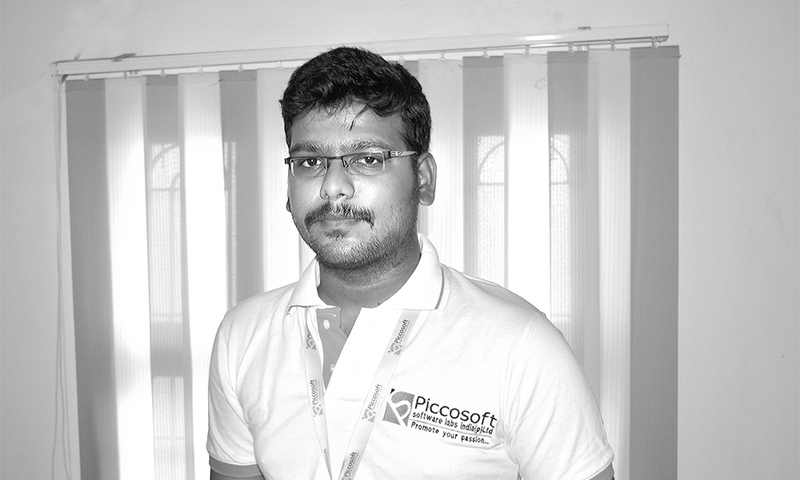 Do call me at +91 9840322505 or email me at suresh@piccosoft.com for scheduling a meeting at my office. We already have a web application. Can you develop a Mobile App for that? We can develop a Hybrid Mobile App for your web application using Ionic Framework. We do not have a set-up of our own yet. Do you provide remote resources? Do not worry about not having a set-up of your own yet. We have our own set-up and the resources we provide to you can work for you remotely, from our set-up. We have a team, who is working on our project already. We just need two more Developers, whom we cannot hire in-house now. Can you help us? Yes of course, let us know the criteria like skills and experience. We shall arrange for the resources and provide you with the same. I have an idea. Can you execute it technically as a fixed project? Yes of course, we would love you hear your idea. After listening to it, we shall put up a project plan and execute it. We are available 24/7 through various means including, Phone, Skype, WhatsApp, Email and Chat. You may contact us through any of these means. We already have an existing application that is working. We need to enhance it. Can you provide the service of re-work? Yes, we can certainly re-work on it and enhance it for better design with good look and feel, better user experience and more features. We would want to have a look at it, for recommending improvements for it. What are the frameworks you are familiar with? We are experts in Loopback, Mean stack and Fire loop frameworks in Nodejs and CodeIgniter and Laravel frameworks in PHP.